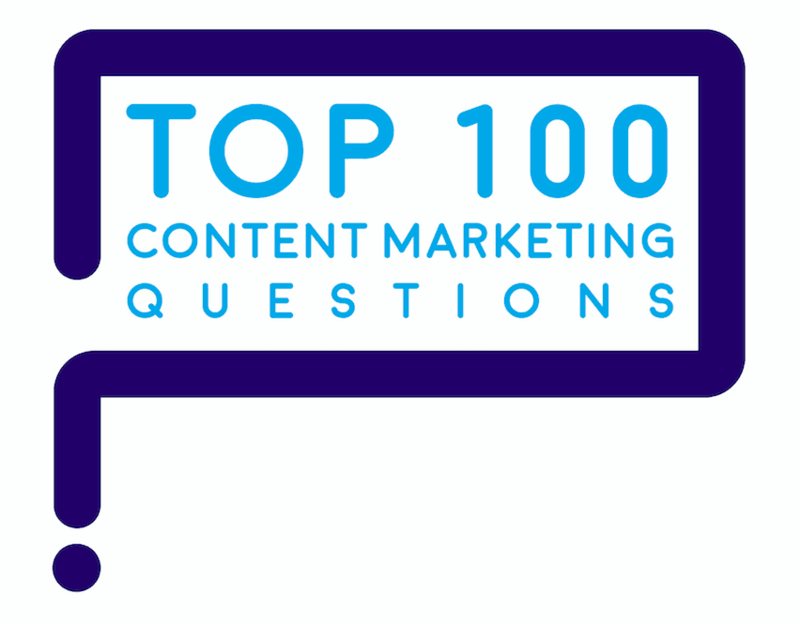 “How do customers find content marketing?” is one of the top 100 questions marketers ask about content marketing. How do Customers Find Content Marketing? Just as animals go to their usual watering holes, so do buyers who search for useful information. How to help customers find content marketing? Don’t try to build a new watering hole – because that means taking on the job of luring buyers to a new place. It’s expensive, uncertain and fraught with risks. Figure out where buyers go during a buying journey. Place content there. One smart approach is to use buyer persona research to learn exactly where buyers go when they seek information about your product or service. When you know buyers’ information habits, you can better help them find content marketing. Buyer persona research gives you deep insights into buyers’ information habits, so buyers find your content marketing where they are. Use Google to search for lenders. Read direct mail offers from lenders. Seek confirmation about lenders from the Better Business Bureau. Do not like going to banks for small business loans. Do not speak to their peers. Using those insights, lenders who want to reach small business people will use a media mix of direct mail, search-engine optimized website content, and Better Business Bureau endorsements. Civil and chemical engineers have ingrained information habits you need to know to help them find content marketing. Updated versions of the textbooks they used in college. 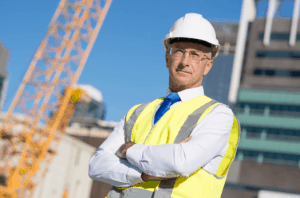 Seminars that provide continuing education unit (CEU) credits. Certain brands’ websites, which offer chemical resistance guides. For new chemicals, talking to the chemical manufacturers. People who have never let them down, even once, over the years. To help buyers find content marketing, go to where they are. Don’t ask them to come to you. Each audience has its own natural information habits – its own watering hole. Discover and work with buyers’ existing media habits. Don’t try to change their habits or create a new habit – it’s unlikely to succeed. Successful content marketing requires a mix of earned, rented and owned media, say Barbara Cave Henricks and Rusty Shelton in their book Mastering the New Media Landscape. Ideally, brands create content that’s easy to discover in earned, rented and owned media. 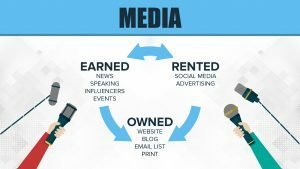 The key to getting the most exposure for your content marketing is this: Make sure that your earned and rented media point to your owned media. Not the other way around. A solid distribution strategy includes earned, rented and owned media. 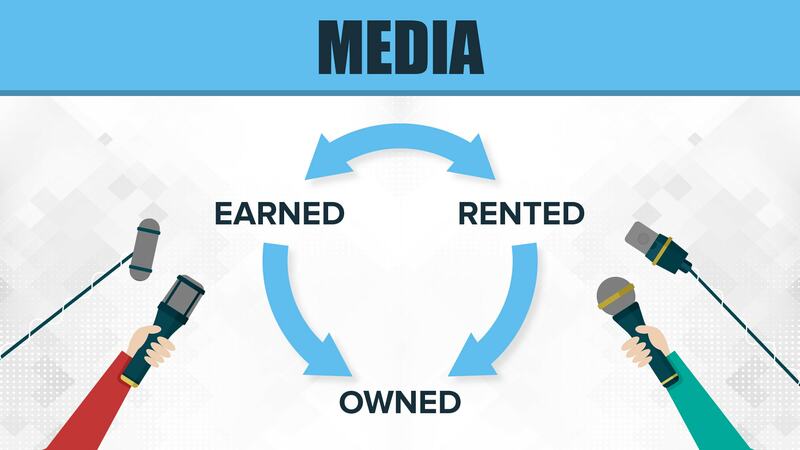 Use earned media and rented media to hook buyers, then direct them to owned media. Earned media gives you third-party credibility. Events, trade shows, seminars, webinars and podcasts staged by others. To maximize your return on earned media, work cooperatively with your company’s public relations (PR) or corporate communications team. 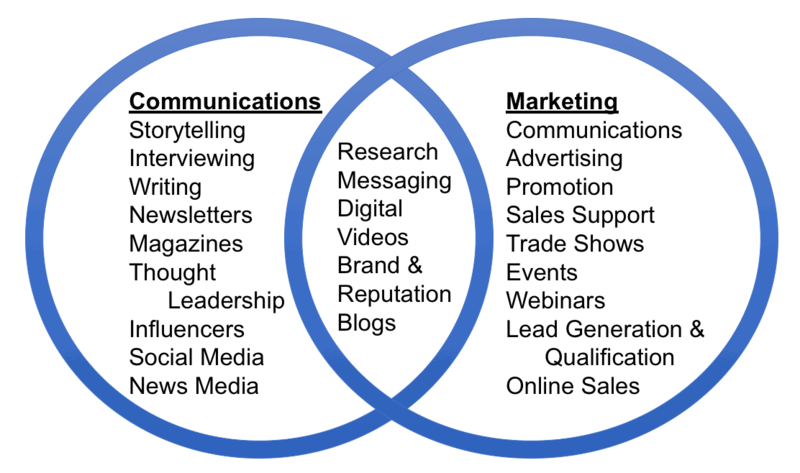 Smart companies merge their public relations (PR) and marketing teams to gain the complementary skill sets needed for successful content marketing. I took that step back in 2001 as vice president – marketing and communications at Tellabs. Why? Because I had worked in combined PR and marketing teams at Ameritech and SBC (now AT&T) — and the upside of combining PR with marketing was crystal-clear. It takes PR skills plus marketing skills to maximize content marketing success. Content marketing becomes more powerful when it combines PR (aka corporate communications) skills with the skills of marketing. 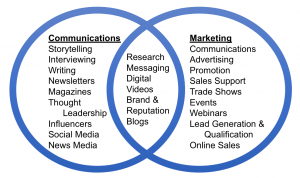 Why do you need PR’s help with content marketing? See for yourself. Try this test: Google one of your customers’ top 100 questions. 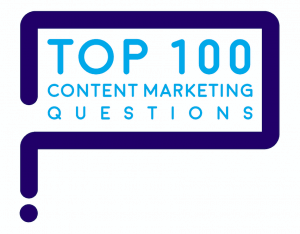 Here’s how to find out what your customers’ top 100 questions are. When you Google a customer question, what results do you find? It’s common for no brand websites to appear among the top Google 10 hits. Why? Because the top 10 Google hits in many categories consist of content from earned media – such as news media, influencers and intermediaries. Those are the outlets best reached by PR people. To get your brand into all of these content marketing opportunities, you have to work through PR to deliver your content through news media, influencers and intermediaries. The catch with earned media is that you must earn the gatekeeper’s permission. They control the platform and the timing. They can even change your words. That drives marketing people nuts, but to PR people it’s same old, same old. With earned media, you can gain the implied endorsement of a third party – say, The Wall Street Journal. In exchange, you give up control of access to the audience, control of the message, and control of the timing. Still, this approach helps buyers find content marketing because so many of the top 10 Google hits link to earned media. In effect, with earned media, you’re borrowing someone else’s audience. Your goal is to lead members of the borrowed audience to your owned media, so you can share valuable content, build a relationship and eventually convert them into subscribers. Rented media is on the rise, out of necessity. 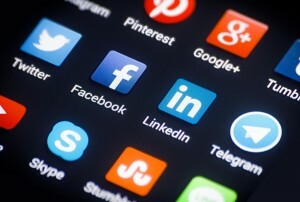 Chances are, you’ll need to pay to reach most of your Facebook and other social media followers. Content marketing appears increasingly in rented (aka paid) media such as advertising and sponsored social media posts. Why? Because what used to be free on social media costs money now. For example, brands with many Facebook followers only reach about 1% of followers with their organic posts. To reach the other 99%, they have to buy Facebook advertising. Facebook’s ad revenue rose over 40% in the past year. The more Facebook limits brands’ organic reach, the higher the ad prices they can charge, and the higher their stock price goes. What’s more, Facebook is the process of changing its algorithms to make it even harder to deliver marketing messages to your brand’s followers. The same trends are driving other social media. Brands find that they must pay more and more to reach their followers. That’s why rented (or paid) media is the part of your content marketing budget that’s most likely to grow. Your goal with rented media is to drive users to your owned media, build a relationship by teaching or entertaining them, and convert them into subscribers. 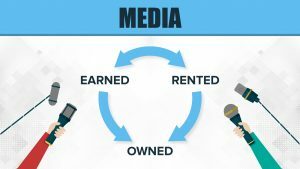 Earned and rented media should always lead to your owned media. 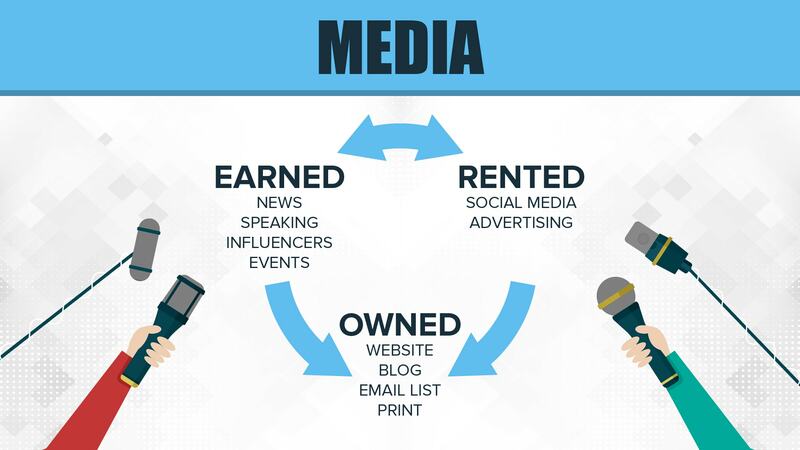 All your content marketing that appears on earned and rented media should point to your owned media. Never, ever point someone away from owned media such as your website. For example, why would you send a buyer who’s already on your website away to Facebook? You want buyers to come from Facebook to your website, not the other way around. Live and virtual events that you control. The job of earned and rented media is to lead people to owned media. You want buyers to look at all the amazing content you have to offer on your owned media. That’s where you can teach, inform and entertain them to build a relationship. When you put the pieces together, your content marketing distribution strategy looks like this. Over time, you can teach them everything they need to know to make the best choice – that is, to buy from you. Your most valuable content users are people who subscribe to owned media such as your blogs, email newsletters and magazines. Equally valuable are the people who sign up for your webinars or attend your live events. Why? Because these subscribers have given you permission to reach them on an ongoing basis. You won’t necessarily need rented or earned media to reach them. Focus rented and earned media on non-subscribers. Aim to create future subscribers. Once you’ve earned people’s permission to market to them as subscribers, treat them like the treasures they are. Don’t shift abruptly from teaching with content to giving the hard sell. Such an quick switch could cost you 20% or more of your blog followers, who are likely to unsubscribe if you pivot abruptly from teaching to selling. When your media distribution focuses on driving users to owned media, your content marketing gets on the right track. And you get onto the path to even greater success!